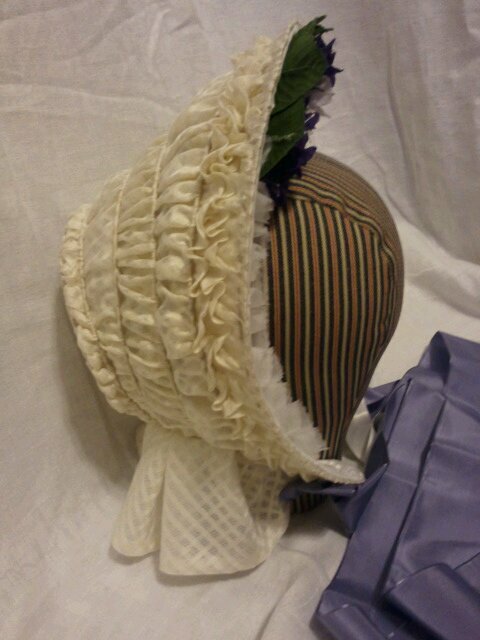 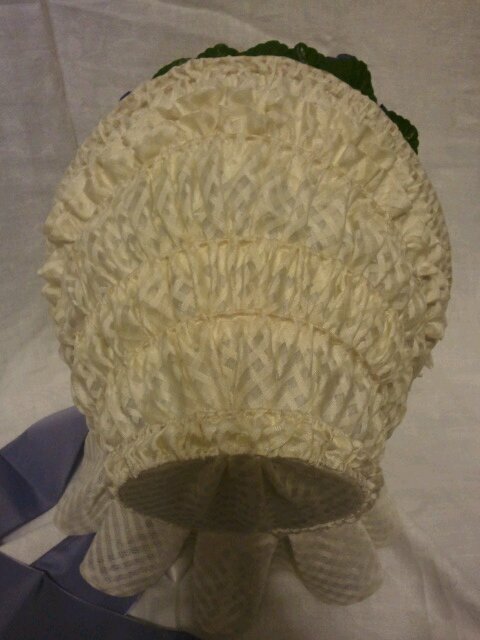 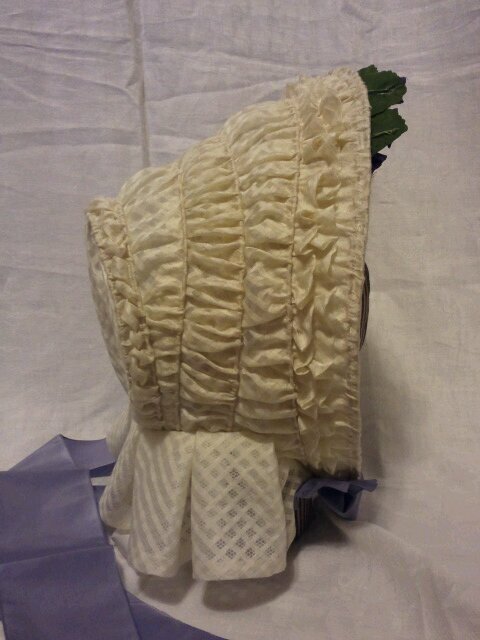 This bonnet is a white and ivory organza silk organza woven in a windowpane check design, drawn on cane over light weight buckram. 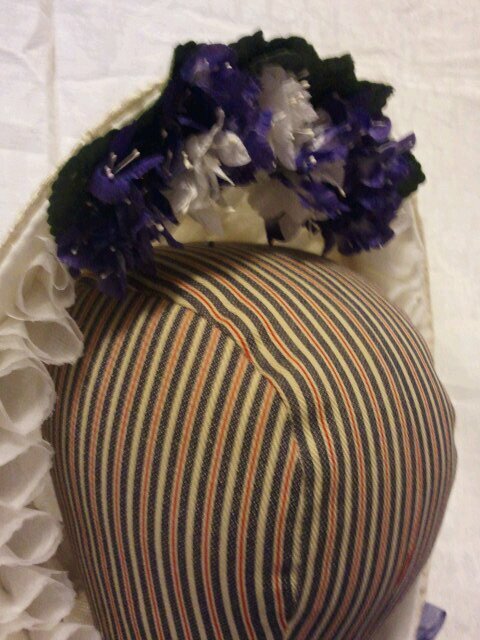 The brim also has some fluffy flounces. 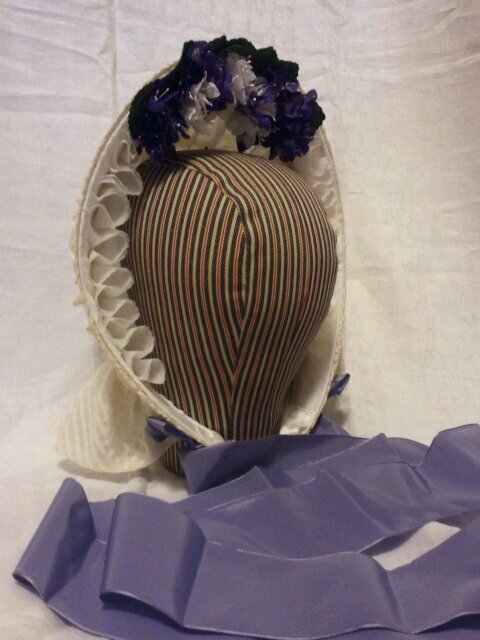 I have a few other millinery pieces I am anxious to share with all of you. 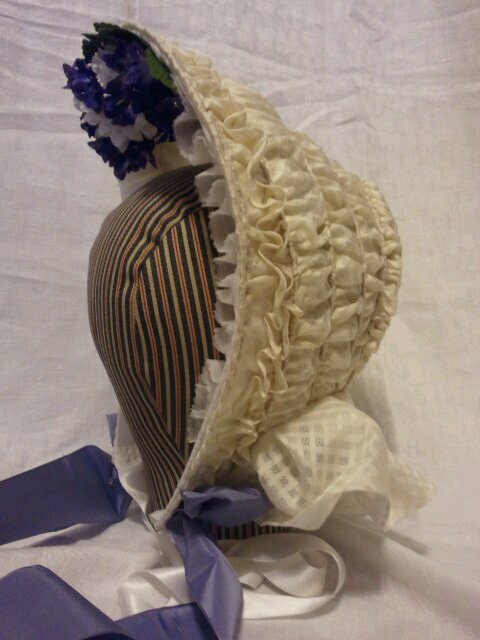 As soon as their new owners have them in hand, I can share.